When Gallery on Queen recently hosted an Art, Flowers & Tea Event to celebrate Mother's Day, I was there with bells on. What a treat it was to sip tea, soak up the latest art exhibitions at GOQ and also experience the floral stylist Reuben Mark Stewart, creating delicate masterpieces before your eyes. Reuben's floral artwork (it truly is) would seriously make Martha Stewart smile and say, 'It's a good thing." Wait... are they related? Perhaps it is just a coincidence they share the same last name, but make no mistake, Reuben has the master touch. Watching him skillfully select just the right backdrop greenery, then decide on an eye-catching colourful floral palate, to then finish with sweet wispy elements was something to behold. Even the way he hand-tied each bouquet was delightful. Each floral arrangement was made with thought and care for each customer, whom had a special 'mom' in mind. Reuben shared insightful tips learned along his own journey through an impressive, life-changing internship at Saipua in New York City under mentor Sarah Ryhanen. Reuben has been beckoned back many times to work with the NYC Team on events, including floral installs for New York Fashion Week. How do you like them apples?! This guy is going places and he currently lives right here in the Maritimes. Don't miss the chance to hire Reuben for a special event of your own. This is a precise business. 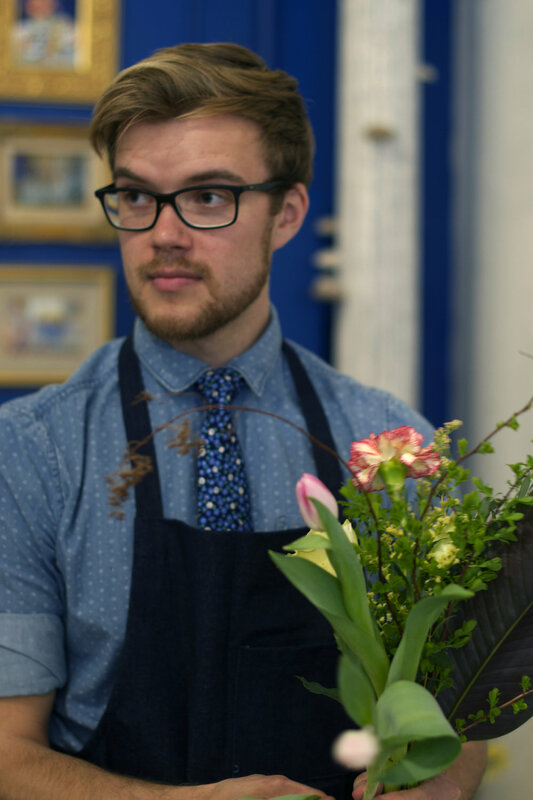 Reuben learned from the best and is particular about his quality product, using locally sourced & Canadian grown flowers when available then supplementing with imported focal flowers when needed. Flowers are carefully chosen through wholesalers in Montreal & Toronto. He also forages for wild natural branches, spring blooms and blossoms to add structure, texture, focal interest & depth to his creatively styled compositions. 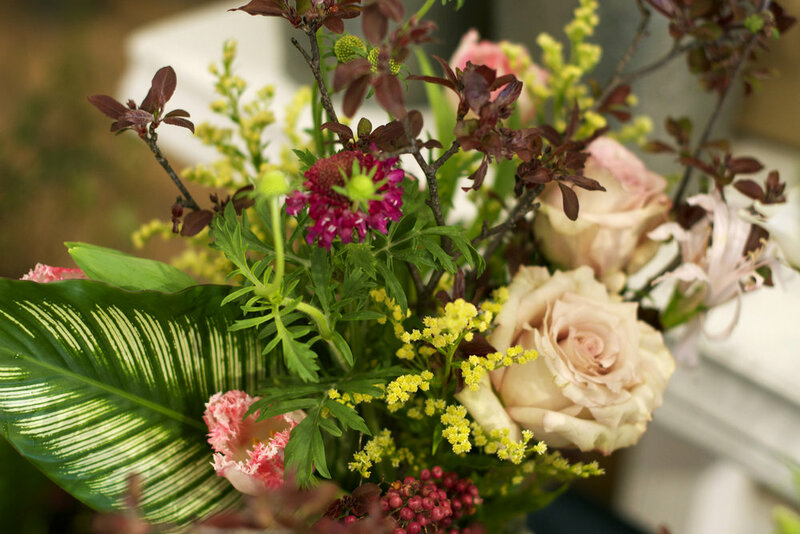 Mothers that were on the receiving end of Reuben's beautiful bouquets must have been smiling on Mother's Day, feeling the love that is evident in the care and special touch Reuben bestowed on each show-stopping floral design. Gallery On Queen is a stunning fine art gallery in downtown Fredericton, featuring extraordinary emerging and well known Canadian artists. Always new, intriguing, interesting and exciting exhibitions highlight traditional and contemporary art in various mediums including paintings, drawings, sculptures, works on paper and ceramics. GOQ believes wholeheartedly that everyone should be able to own an original piece of art. Visitors from novice to seasoned collectors are welcomed to leisurely enjoy the exquisite artwork.